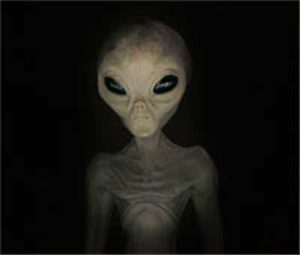 Thank you for visiting the Aliens & UFOs Among Us website. This site is best viewed using Internet Explorer 6.0 or above at 100% Scean Layout resolution. is recommended, as well as a Flash 5 and Above and Java capable browser. You might consider this one of the most important questions when dealing with this type of phenomenon. Unfortunately, it is also one of the hardest to answer. There is really no straight-forward answer to this question. There are so many sides to it that a person hardly has time to research all areas that could possibly link directly or indirectly to the UFO phenomenon. There are so many questions that have no easy answers, that it makes it very difficult for the average person to even speculate what the "big picture" might be. Then, you have the problem of just what exactly constitutes as proof? What might be enough to convince one person, may not necessarily be enough to convince everyone. What you need is what we will refer to as absolute proof. This would include anything that might be considered hard physical evidence, beyond any shadow of a doubt, that an alien or non-human intelligence is or has been in our presence. Some say that this already exists, but only behind closed doors, far from the media and public eye. Conspiracy theories are abundant, which cry claims of alien visitation, alien abduction, government cover-ups, silenced witnesses, M.I.B.s, advanced technology, experimentation, etc... The list goes on and on. But is there really any truth to any of it? That is the burning question that we all would like to know. Some of us already believe in UFOs and their supposed alien occupants, but still lack the absolute proof necessary to be 100% convinced that they have visited Earth. But at the same time, many people argue that every day we convict criminals on far less evidence. When your average person of traditional background first entertains the idea of alien visitors, the reaction is usually one of total disbelief. A humorous, almost laughable atmosphere can easily be created from the slightest mention of this subject with any seriousness. It's hard to break from the generally accepted view that aliens and UFOs are total nonsense, and anyone who entertains such ideas should have their head examined. known that you have ever been dishonest about anything publicly in your life, then you might as well count on your claim being totally ignored, or at least not taken very seriously by most. Unfortunately, people DO make up claims of UFO sightings and even alien contact, and the reasons can be as varied as the individuals making the claims. Many folks have chosen such claims as a means by which to profit from. This usually has a negative effect on the UFO community. Whether the claim seems legitimate or not, when the individual in question is seen to profit from their claim, it immediately reveals a possible personal motive and can easily discredit the entire case. But fortunately, there is also an abundance of eyewitness testimony, where the witness is considered to be highly credible and shows no signs of personal gain or a hidden agenda. A prime example of this might be the Socorro, Mexico case of April 24, 1964. In this case we find the primary witness to be police officer Lonnie Zamora. The significance of this case is that investigators were able to arrive on the scene within hours, and document their findings. Landing marks such as impressions in the souls, and burnt brush, were discovered, which further corroborated Mr. Zamora's claim. Multiple witnesses can also add credibility to a case, especially when there are witnesses unknown to each other, as with the Pheonix Lights case of March 13,1997. Many, many witnesses have come forward with eyewitness reports, and some even with video footage to back up their claim. Today, video footage of these lights is readily available on the net for downlaod. One of the greatest examples of multiple witness cases might include the reports coming out of Mexico during and since the 1991 eclipse. Thousands of people claim to have been witness to these objects apparently flying around in their skies, and hundreds have captured them on video. Some might refer to it as one of the biggest UFO waves of the 20th century. Now when you have mutiple eyewitness reports, backed by credible witnesses, reliable documentation, video and photgraphic evidence...the claim is harder to dismiss. Personal claims made by a single individual are hard to fairly evaluate but I don't refer to just your average everyday UFO sighting. I am also referring to the more unbelievable claims that are often made. Bob Lazar, who claims to have worked at Area 51 to reverse-engineer the power plant from an alien craft, would be a prime example of this. He also claims to have viewed briefing documents containing information on aliens and their technology. Travis Walton's claim of alien abduction seems beyond belief, but at the same time he passed three polygraph tests, which he volunteered for. Add that to the corroborating eyewitness reports of his buddies, and the fact that he was missing for several days, and the case seems very hard to totally discount. Robert Dean, better known as Bob Dean, is another example. Mr. Dean is a former NATO Command Sergeant Major who claims to have had NATO's highest security clearance. He has claimed that while assigned to NATO's Supreme Headquarters Command, to have viewed a NATO UFO Report called "The Assessment". According to him, the document concluded that we (the Earth and humans) had been under some kind of analysis or study by several high technology civilizations, for a very long time. How are we to believe such claims without being able to examine these supposed documents for ourselves? Some people have nothing to back up their story but their own word, which just isn't enough for everybody, even though many of these people may appear to be very honest and sincere individuals that have nothing to gain from lying. James McDivitt (Gemini and Apollo astronaut) has claimed to have taken a few pictures of a craft while on a mission in space, but that they disappeared after being turned over to NASA. With the exception of eyewitness reports, photographic evidence is probably the form of evidence most readily available to the public. For as long as cameras have been around, we can find photos of strange objects in the sky. Unfortunately, due to technology, pictures can be extremely difficult to evaluate, especially more recent ones. But that is one of the nice things about photgraphic evidence...we can go back to a time when photgraphic forgery was in its infancy and easy to detect. This doesn't necessarily prove anything, but does give more credibility to images where no indication of forgery is evident. Over the years, we have gotten better at detecting fakes and the many methods used to create them, but the forgers have also gotten better at creating them. Sometimes individuals have tried to substantiate their claims with faked images they have created. Sometimes they may even totally believe their own experience to be genuine but lack sufficient proof to back it up. So they then attempt to create their own proof, which is usually discovered by some means later on. This then totally discredits any details, photos or other evidence the person has in their possession that may in fact be genuine. Today, the validity of many ufo photographs remain undetermined. So basically what we are left with in this area, is a large amount of obvious fakes (and those generally accepted to be fakes), and also a large amount of photos that are labeled as "true unknowns", where the object(s) is question cannot be possitively identified and no indication of forgery is evident. The area which often recieves the most scrutiny, is likely the video footage. If even one example of this type of evidence were to be labeled as authentic, then society as a whole might be forced to accept the UFO reality. To date, no such footage has ever come forward. Most are at one time or another, labeled as fakes....sometimes for obvious reasons, and sometimes not so obvious reasons. Take the now well-known alien autopsy film for example. It recieved immediate attention, which soon turned to negative attention for those responsible for its distribution. The vast majority now believe it to be a forgery, due to certain aspects of the film and an unwillingness on the part of the source(s) to cooperate with researchers and supply even a few negatives of the film to be thoroughly examined by professionals. Then there are the cases where you have mutiple video footage of the same object(s) from seperate sources, like with the Pheonix Lights and Mexico cases. These are much harder to label as fakes, due to the scale of deception required to fool multiple witnesses and cameras from different areas, fixed on the same location. There is a lot of video footage that is "believed" to be faked, but there is also a lot that remains undetermined. Some of this video footage even comes from NASA itself. Bodily physical traces would be a direct indication of alien contact of a more personal nature, and would include such things as scars and unusual marks on the body, often referred to as scoop marks. Many abductees claim to have marks on their body that show where medical type proceedures have been conducted on them, often without their knowledge or consent. Often an abductee will claim that an object, usually known as an implant, was inserted into them where a particular scoop mark is located on their body. You might also include changes in a person's attire in this category. Often, it is reported that an abductee wakes up or comes to, after an abduction experience, only to discover that their clothes are not on right. They might be on backwards, or in the wrong place or order, but something is definately different. Unfortunately, this category doesn't pull much weight on its own. It's far to easy to have created any "marks" yourself, (with or without your knowledge) or to have just made up the entire incident. It is also important to note location changes. This is where an abductee is returned to the wrong location and can include anything from being returned to the wrong end of the bed or perhaps the wrong room....to even being relocated many miles away. But unless there are witnesses or some form of evidence which can somewhat back-up the claim, it is unlikely that it will be taken seriously by anyone outside the UFO community. Unless you could prove that a non-human intelligence performed such proceedures on you, then this area proves very little. Some skeptics and debunkers would have you believe that UFOs are not anything solid because they have never shown up on radar. But our own stealth technology has made this argument obsolete and the simple fact is that, yes, they do and have shown up on radar. In fact, there are several good cases which involve multiple eyewitness reports, multiple radar confirmations, and less than adequate explanations from officials. A primary example might be the incident in 1952 involving the U.S. Capital and multiple UFOs. The summer of 1952 yielded to a huge UFO wave across the United States. Then in July, in Washington D.C., many objects were seen over the nations Capital and were tracked on radar by three airports in the area. During those weeks, the USAF scrambled flights in which some of the pilots achieved radar contact. The Washington sightings made international headlines. It's interesting to note that the Blue Book sightings for 1952 are about ten times larger than for any other year. Other examples of well documented radar contacts might include the Bentwaters, England case of August 13,1956...or perhaps the Minot, North Dakota case of October 24, 1968. But regardless, the belief that UFOs don't exist based on lack of radar confirmation is erroneous, because many cases involve possitive radar returns, sometimes from more than one source. It seems reasonable to conclude that if alien piloted UFOs are visiting Earth and flying around in our atmosphere, then you would suspect that they would also land occasionally. Environmental traces would include anything pertaining to physical evidence left on our environment from contact with such objects.These could be depressions in the soul or scorch marks as with the Socorro, Mexico case, as well as many others. Several cases exist which include sites where investigators believe they may have found such traces. Often, electro-magnetic disturbances are detected in the area, along with higher than normally detected radiation levels. There are even rare cases involving UFOs, where pets have died and people have become sick, from what is sometimes described as a sort of radiation poisoning. 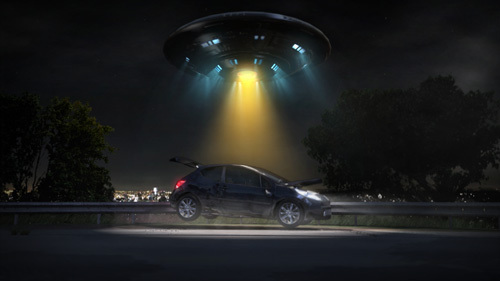 Often, people report electrical disturbances while in the presence of a UFO. Car radios and engines fail, the instrument gauges of planes go berserk or read faulty. People have also reported unusual animal behavior in their pets or livestock. But again, by itself...this type of evidence proves very little. Without the support of credible eyewitness testimony, competent documentation, photographs, etc...we are left with little more than a few unusual, and often unexplainable, aspects of a case. Fortunately, there exists a substantial number of cases where environmental traces (especially landing traces) just go to further the credibility of a persons account of the incident in question. Historical evidence is by far, some of the most interesting. When you get into this area, the possibilitities of an alien connection seem to show up everywhere. It really makes you stop and re-think about what we are taught growing up. Our history seems littered with hints of an alien influence or presence on Earth, at some point in our past. Mythology and legends from around the world, all seem to indicate that in the distant past, individuals with god-like abilities, molded man into a civilized state, after a period of great upheaval. But is it all just wishful speculation and misinterpretation? How is one to decide when virtually almost every culture throughout history has legends and tales that could pertain directly to a high evolved intelligence other than man? Some ufologists and bible scholars have even connected bible stories of angels, miracles and God, to possible alien interventions with man. Some examples of such intervention might include: the "Virgin" Mary, sometimes explained as alien abduction and pregnation, much like modern claims; the fire and brimstone destruction of Sodom and Gomorrah in 2024.b.c., and the two strangers who warned Lot; the story of Jacob-founder of the twelve tribes of Isreal, in the Book of Genesis, while on a journey from Beersheba to Haran, had a "dream", Jacob saw a "ladder set upon the Earth and the top of it reached to Heaven", in which the angels of God descended, at the top of the ladder stood a being who proclaimed himself "Jehovah, the God of Abraham"; Or how about the account of Ezekiel and the fiery wheel, where "visions of God" carried him to a city on a very high mountain (Ezekiel 40:2),"spirit" of God took him up, with a "great rushing" noise (Ezekiel 3:12), "Glory of God" appeared out of the east with a sound "like a roar of rushing waters and the whole landscape lighted up" (Ezekiel 43:1-2). Preserved since prehistory, are the amazing pictographs and lines of the plateau of Nasca, in Southern Peru. These are often referred to as the Nasca Lines. There, you will find images of animals and birds, like a monkey, a whale, a condor, a pelican, a spider, etc. The amazing thing about these images are that they can only be seen from high above and stretch over a huge area. They weren't even fully realized until the invent of commercial aviation in the 1930's, so who were they made for? Some cave drawings from France, South America and Africa seem to show people in space suits of some type. And some even have what resemble antennas on their headgear. Cave art from Australia and the western United States from at least 5000 years ago, resemble modern descriptions of alien beings. There are more interesting images from 20-30,000 years ago on the walls of caves in what is now southern France and northern Spain. Here you will find fairly accurate images of animals now extinct like boars and mammoths, along with strange depictions of disc like objects. WWII pilots on both sides of the war, witnessed objects nicknamed Foo Fighters. These were usually described as balls of light that ranged from one to six meters in diameter. For a while, each side thought that these were most likely the other sides newest technology, but of course neither had anything like what is often described. Several possible UFO documentations also come from Japan. It was September 12 of 1271, when a priest was about to be beheaded by a jealous warlord. Suddenly, an object appears above them in the sky, frightening away the would-be executioners and saving the priest. In 1389, "three round objects of unusual brilliance were seen to join together as one large object in the sky". In 1458 the emperor was alarmed by the appearance of five stars circling the moon. They changed colors three times before they sped off and vanished. Another story states that in 1606, samurai warriors saw a whirling ball of fire, like a red wheel, hovering near their castle. To read more about the possible alien presence in our past, check out A History of Alien Visitation? under the info section of the main menu. A person could go on and on about all the data we have on ancient civilizations and the possible indications of an alien presence or rather, a higher intelligence. Zecharia Sitchen's work with ancient Sumerian text is some of the most amazing data and translations, while at the same time, very hard for the average individual to swallow. But then again, the greek poet, Homer's account of the Trojan War was believed to be fiction, until Charles McLaren located the ruins of Troy in 1822. And it wasn't until much later that it was generally accepted by most. Historical evidence doesn't necessarily mean only research data pertaining to events of long ago. More recent events in history can easily be found also which could contain such indications. Lets take the March 16, 1967 incident for example. Did something tamper with our nuclear capabilities? During this time, the missiles at two sites near Malmstrom Air Force Base (code-named November and Echo) loaded with nuclear warheads, suddenly switched off. No one could figure out why this was happening, as there was no off switch to speak of and nothing was broken. Then, after more than three hours, the missiles mysteriously came back on with no repair work being required. No reason was ever discovered but in an interview with SIGHTINGS during the mid-to-late 1990's, Robert Salas (former Deputy Commander, USAF) and Donald Crawford (Lieutenant Colonel, USAF Ret.) both claim to have recieved reports from security guards of UFOs outside the gates, around the time of the incident. Many other such examples are easily found with the proper research, but how many of them actually pertain to possible direct contact with UFOs and/or their occupants, is the question. Hard physical evidence has yet to be brought forward and determined through scientific analysis, to be of a genuine alien origin. This would include anything physical we could touch and examine like a craft, some piece of technology, or a body. 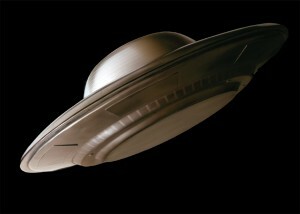 It is true that objects, supposedly implants, have been more recently removed from abductees. Whitley Strieber's book, Confirmation-The Hard Evidence of Aliens Among Us, talks in depth about several of these cases. Most notable, are two cases in which the persons unknown to each other, had virtually identical objects removed. An object recovered from the Jesse Long case contained an unusual substance. It was supposedly fused quartz with a composition of 99% amorphous silica, which likely had been melted and honed, suggesting it was manufactured. It had what is described as an unusual cobbled surface. It supposedly could conduct electricity somehow, although its surface was cleaned of impurities, and silica is nonconductive. Unfortunately, often these objects are found to be of common Earth materials or are simply labeled as "unknown". Sometimes, they even mysteriously disappear. One problem with implants, is proving how they got there in the first place. Having something strange removed from your body, is a far cry from proving that aliens abducted you and put it there. Most believers claim that any and all hard physical evidence is gathered up for safe keeping or study, by certain secret (usually government) groups responsible for handling such matters. Could this be the case with the famous Roswell crash in 1947? It seems a very popular idea among believers and ufologist who claim that we are currently being visited by non-human entities, and certain people don't want you to know about it. So now that we've talked a little more about these individual areas, it's also important to mention a few other perhaps strong indications of an alien presence. Title 14, section 1211 of the Federal Regulations, adopted July 16,1969, says that you can be jailed and fined for having contact with extra-terrestrials, yet the government maintains that there is no evidence to suggest that UFOs are real crafts, piloted by aliens. It is known as the Extra-Terrestrial Exposure Law, and a lot of people have never even heard of it. The U.S. Government put out a training manual titled "Fire Officer's Guide to Disaster Control" by William M. Kramer and Charles W. Bahme, 1992. The manual is given to potential fire fighting cadets and is 700 pages long. Chapter 13 is titled "Enemy Attack and UFO Potential". From this, it is clear to see that UFO's are taken very seriously, and it is intended for training on how to deal with a situation when faced with a UFO. An Airforce training manual obtained by SIGHTINGS in the mid-to-late 1990's, is title "Introductory Space Science, Volume II". Under the paragraph heading "Alien Visitors" we find, "The most stimulating theory for us is that the UFOs are material objects which are either manned or remote controlled by beings who are alien to this planet...". So it is easy to see that each of these areas alone, cannot constitute as proof. And we also lack the hard physical evidence required for the scientific community to take the subject more seriously. But as most believers will tell you, take all the evidence or strong indications, and add them together, and it paints a picture that most can't readily accept. When you have mutliple, credible eyewitnesses, radar contacts, visual confirmation from ground authorities, photographs, video, etc....it's hard for even skeptics to discredit totally. And lets not forget about topics like cattle mutilations and crop circles, that might also be connected to the alien/UFO phenomenon. Unfortunately, we will never have absolute proof until hard physical evidence comes forward. Rumors of its existence are not enough. For the majority to accept this, we need to be able to see and hold it in our own hands. And then be able to run test after test, study after study, for all those who still can't accept it. Some people believe that one reason the secret is so heavily guarded is because it would have a devastating effect on organized religion, if the truth was discovered and revealed to all. Some say it is because we are not prepared to handle the truth as a society and it would cause panic in the streets. Some say it's because the Government doesn't want to come clean about what they've been doing behind closed doors, and because they're not about to admit they've been lying for over 50 years. Perhaps then if there is truth to any of this, then it could be a combination of reasons for the secrecy. To sum it up, we would have to say that "No, there is no absolute proof that aliens exist and have visited Earth.....but there is every indication that this is a very real possibility."